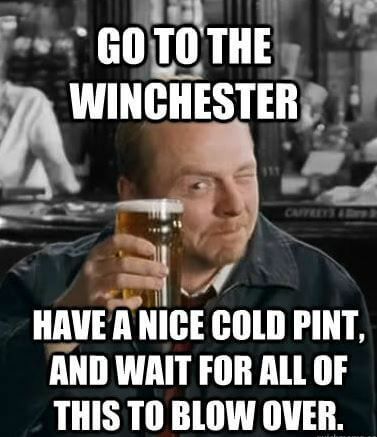 Shaun Of The Dead is one of those movies that gets better every time you watch it. Simon Pegg & Nick Frost have genuine chemistry that either reminds you of your best friend or makes you wish it did. Shaun Of The Dead starts as a movie about a guy dealing with everyday life and turns into an epic journey about winning back his girl and coming to terms with his mother. Overall, this movie is a solid 81/100 and I watch it at least once a year. Grab a pint, invite your best friend over, and wait for it to blow over.